Looking for your dream getaway? Short on cash? I know, I feel you! In many developing countries around the world, the dollar/euro can go a long way. Not only can you experience incredible landscapes and new cultures you can do so on the cheap. Picking a budget-friendly country to travel to depends on the type of vacation or activities you want to experience. If you want a gorgeous beach at your feet, you can never go wrong with Thailand. Seeking adventure? Set off on a two-week long trek on the Annapurna Circuit in Nepal. Looking for culture, great food, and one of the most remarkable ruins in the world? 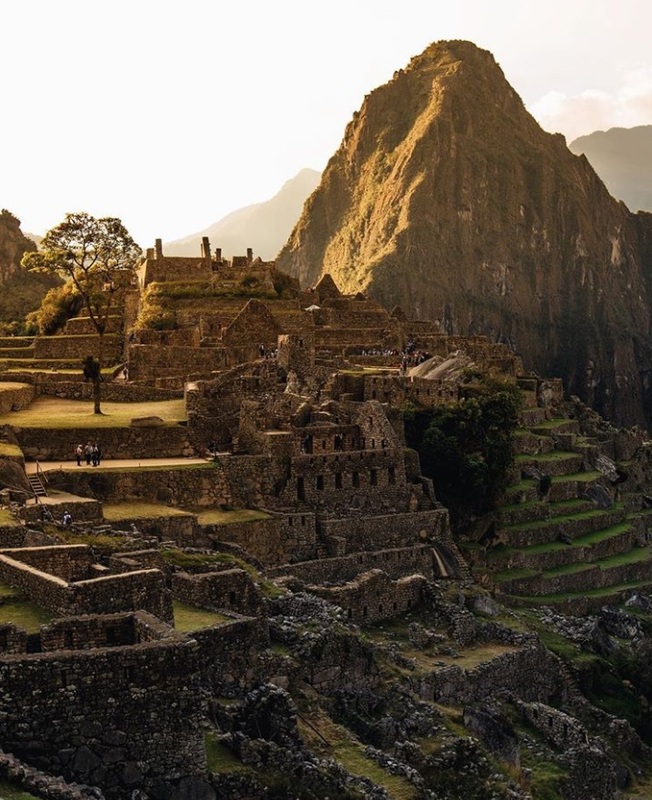 Head to Machu Picchu in Peru. No matter your budget destination, there are always places to stretch your dollar. So stack up those dollar dollar bills. 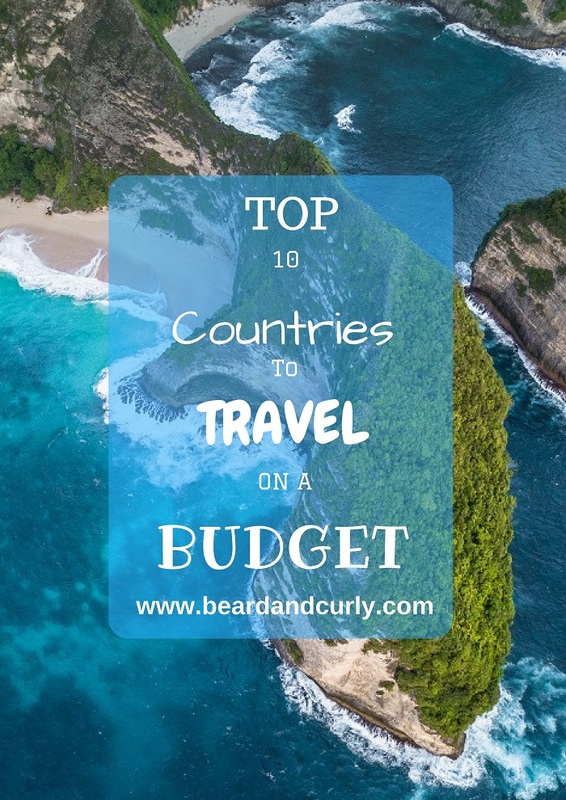 These budget-friendly epic places to explore are the top countries to travel on a budget! Many people do not associate the South Pacific and remote tropical islands as a budget destination. However, Samoa has a wonderful tourism infrastructure. Budget accommodation is available throughout both main islands which include breakfast and dinner. The people are incredibly friendly and helpful. 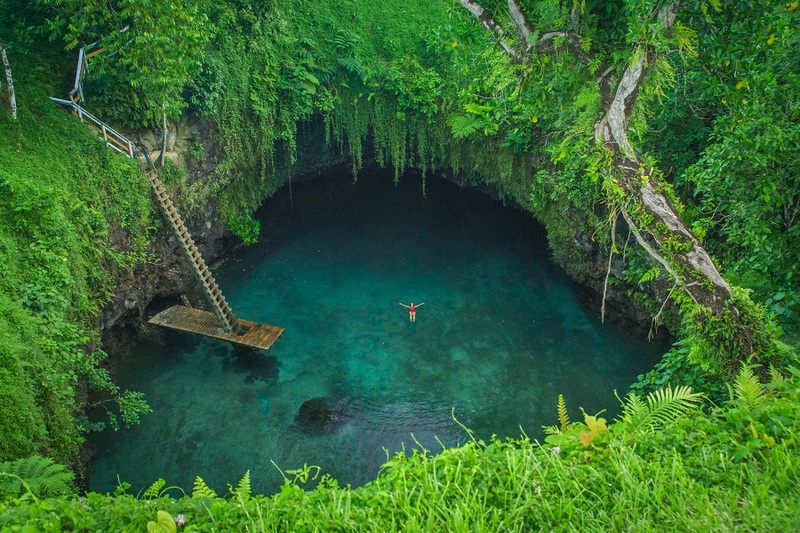 The amazing attractions such as To-Sua ocean trench, waterfalls galore, white sand beaches, black sand beaches, blowholes, and wonderful snorkeling all come at a very low cost. Our favorite spot was Lalomanu beach. The water is crystal clear and the Sunday lunch at Taufua Beach Fales is ahhmazing. The best time to visit is between May and October. The rest of the year is very wet and humid. Unlike most of Western Europe, Portugal has a lower cost of living and travel is inexpensive. Portugal offers scenic coastlines, world-class surfing, and great nightlife. 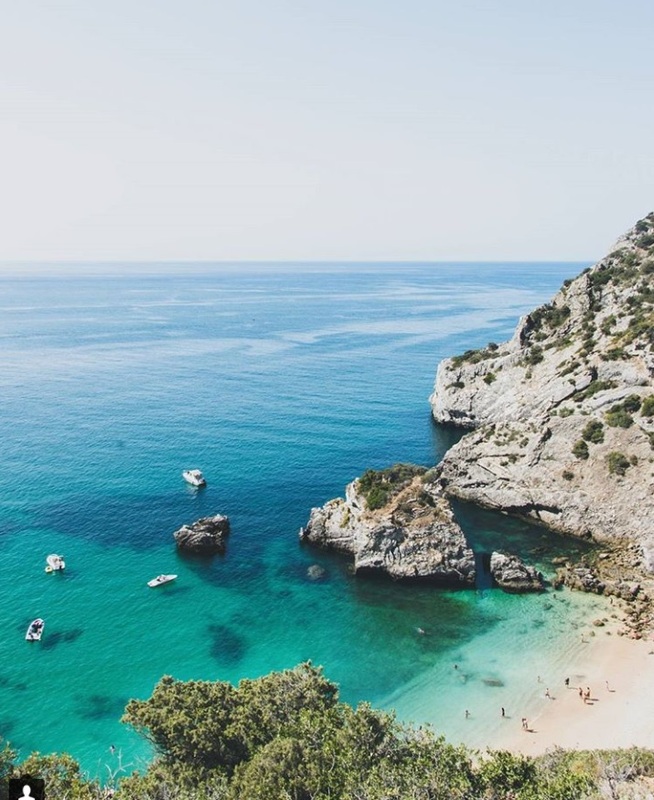 A visit to Portugal would include drinking port wine, exploring ancient castles, and lounging on stunning beaches. Food is super cheap and delicious. We recommend stops in Lisbon, Porto, Madeira, Obidos, Lagos, and Algarve. Algarve was our favorite. The best time to visit is in the spring or autumn. The summer is the best time to go to the beaches but they can get crowded. This Central American country is very affordable and has many sites to see. The quaint colonial city of Antigua has colorful photo opportunities at every turn. 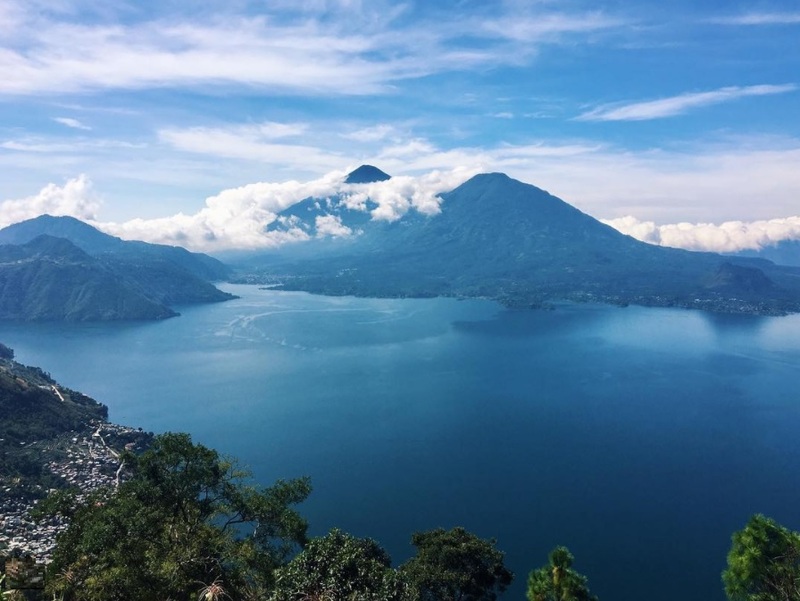 The scenery at Lake Atitlan is stunning. We recommend staying in the cute village of San Pedro La Laguna. Tikal is one of the best ancient ruins in the Western Hemisphere and is close to the border of Belize. There are many jungles to explore and volcanoes to hike. Acatenango volcano is one of our favorites. The best time to visit is between November and April. Lago di Atitlan, Guatemala. Photo by Mariana Michelena @marmichelena. South Africa is a diverse country with beautiful coastlines, dramatic mountains, and excellent safaris. There are many game reserves for wildlife watching, including the popular Addo Elephant Park or Kruger National Park. Cape Town is our favorite city in Africa and has some epic hikes within the city. 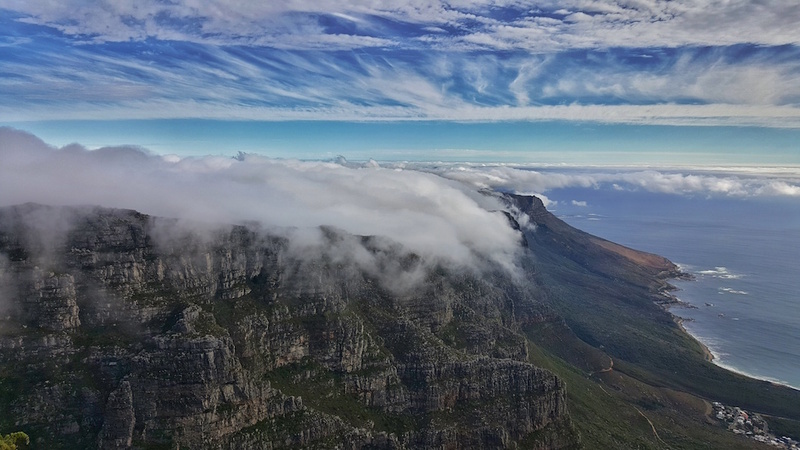 Table Mountain is seriously one of the most beautiful places to explore. Drakensberg Mountains, just a few hours drive from Johannesburg, has some of the best hiking in all of Africa. You can learn to surf, swim with great white sharks, eat some fish and chips, and take some epic road trips. Our favorite spot was hiking the Amphitheater in the Drakensberg Mountains. The best time to go for wildlife viewing is from May till September. The best time to hike is from February till May. Nepal is a very cheap country with an economy that relies heavily on adventure tourism. One of the main reasons for a visit is the world-class multi-day treks. 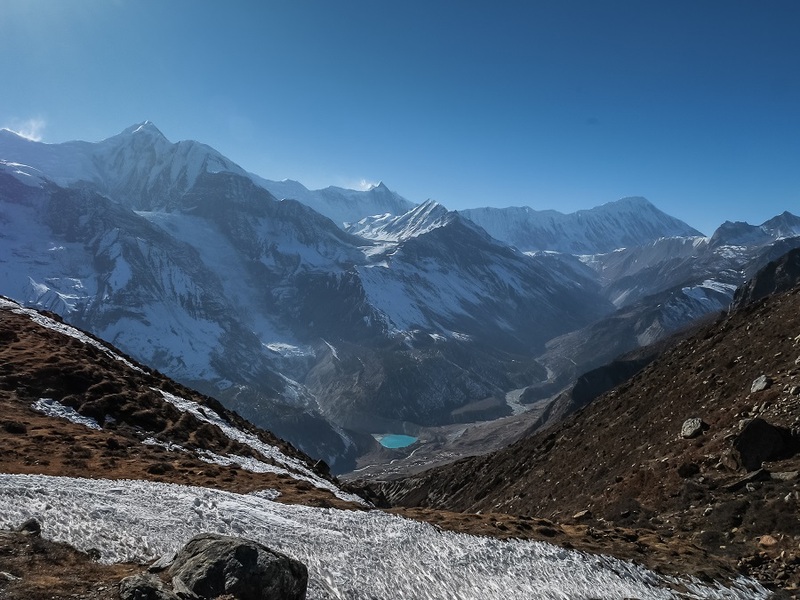 Dal Bhat power (24 hour) will keep you strong for hiking in the Himalayas, whether it is to Mount Everest Base Camp, the three passes, or the Annapurna Circuit. When hiking the Annapurna Circuit independently we spent $12 USD each per day. Not bad! The seasons are from October till November and March till April. The winter months can get extremely cold. The summer months from June till September is monsoon season. Peru is a wonderful place to visit and has an incredible amount of diversity. Machu Picchu, although very touristy, should be on every traveler’s bucket list. Booking the Inca Trail must be done 6 months in advance. Make sure to book a ticket to hike Huayna Picchu, the views are incredible! Hiking the Salkantay Trek in Cordillera Blanca is one the most accessible high mountain ranges in the world. Other amazing things to see is the Rainbow Mountain, the Amazon rainforest, and the Colca Canyon. Peru has excellent food, loads of history and ancient ruins, and the culture is unique, making this our favorite stop in South America. The best time to visit is during the dry season between May and September. Machu Picchu, Peru. Photo by Sam Horine @samhorine. In a world of its own, India has many special places to explore. Historic cities like Varanasi, Udaipur, and Jaipur are extremely beautiful and couldn’t be more different. If you are after beaches and good food, Goa and Kerala are the way to go. Need some spiritual inspiration? Get your yoga on in Rishikesh. During the summer, you can venture off and find solitude hiking in the Himalayas. 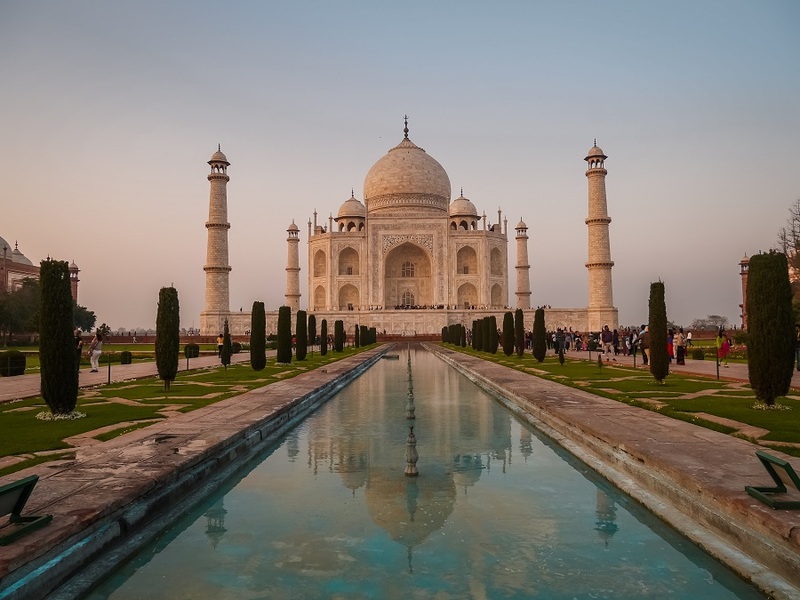 Although crowds are huge, seeing the Taj Mahal shouldn’t be missed. The best time to travel throughout India is between November and March. For hiking in the Himalayas, the best time is between September and November. Thailand is a top tourist destination and has lots to offer. The world-renowned Thai beaches are definitely worth a visit. Bangkok has some of the best street food in the world and all for a very low price. Chang Mai is not as hectic and has many temples to explore. The islands in the south of Thailand have incredible beaches. 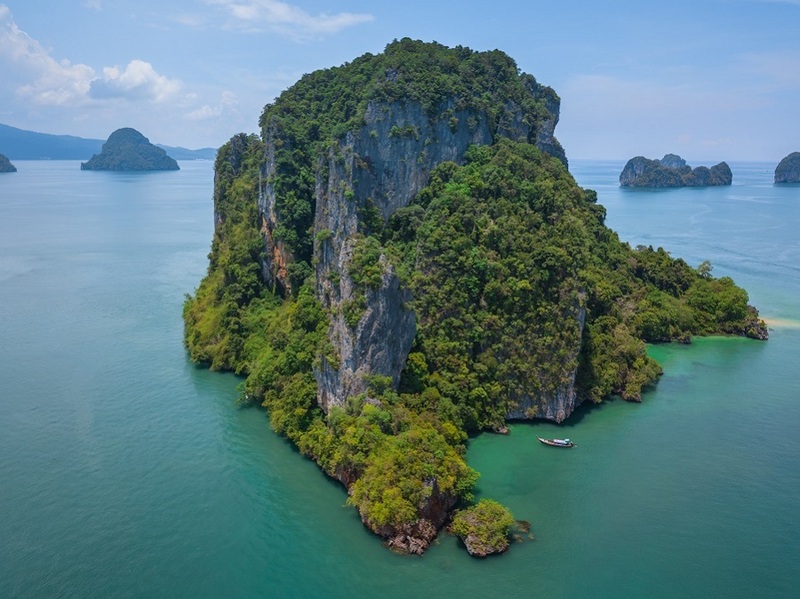 Whether you choose Koh Phi Phi, Koh Pha Ngan or Koh Samui you will not be disappointed. There is awesome scuba diving at Ko Tao and it is a cheap place to get your open water diving certification. Whether you are looking for culture or endless parties through the night, Thailand stands out as the place to be. Thailand can be visited year round. Tip: Click here for a great Backpacking Thailand Guide. An island near Krabi while island hopping for the day. Egyptian temples are several thousand years old and remarkably well-preserved. You could visit for months and still miss out on the majority of them. 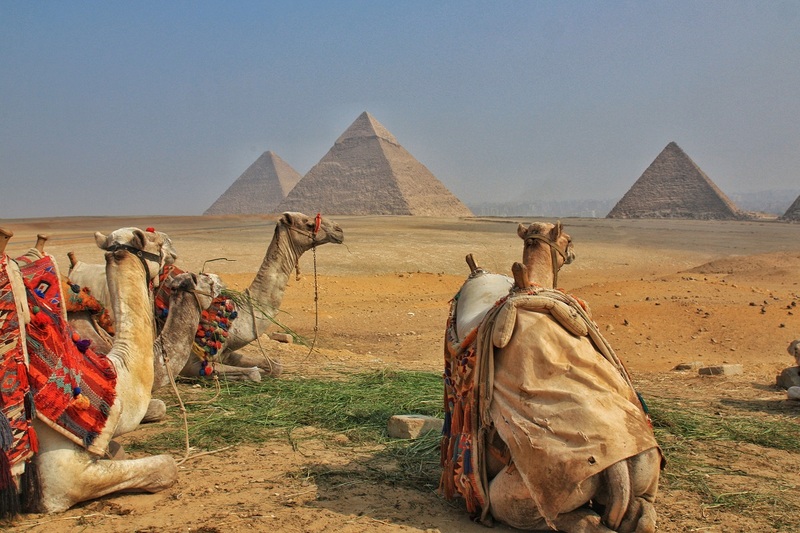 There are over 100 pyramids in Egypt, the three largest ones are enough reason to visit. The Great Pyramids of Giza are breathtaking and unlike anything else in the world. Cairo is a massive city with amazing sightseeing and one of the best outdoor bazaars in the Middle East. There is world-class scuba diving in the Red Sea, desert excursions to the Sahara, and felucca rides down the Nile. Ohh, and due to low tourism in the past several years, it’s dirt cheap. As the locals say; “Welcome to Egypt” (or Alaska as a joke). The best time to visit Egypt is between September and April to avoid the summer heat. Bali has been a global destination for budget tourism for several decades. 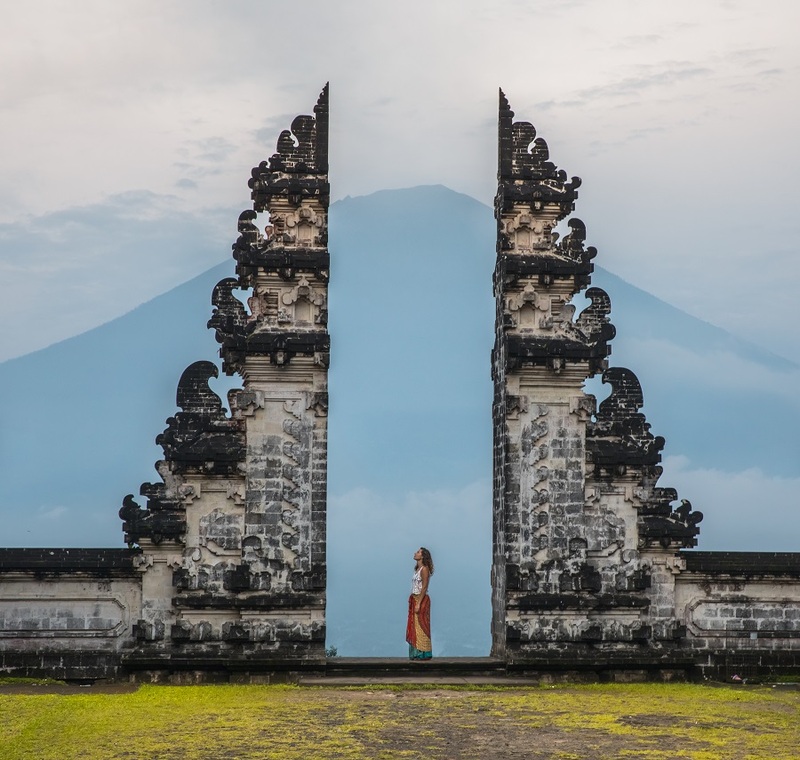 While the waterfalls and temples in Bali are amazing, there is so much more to offer. This makes Indonesia our #1 place to visit on a budget. 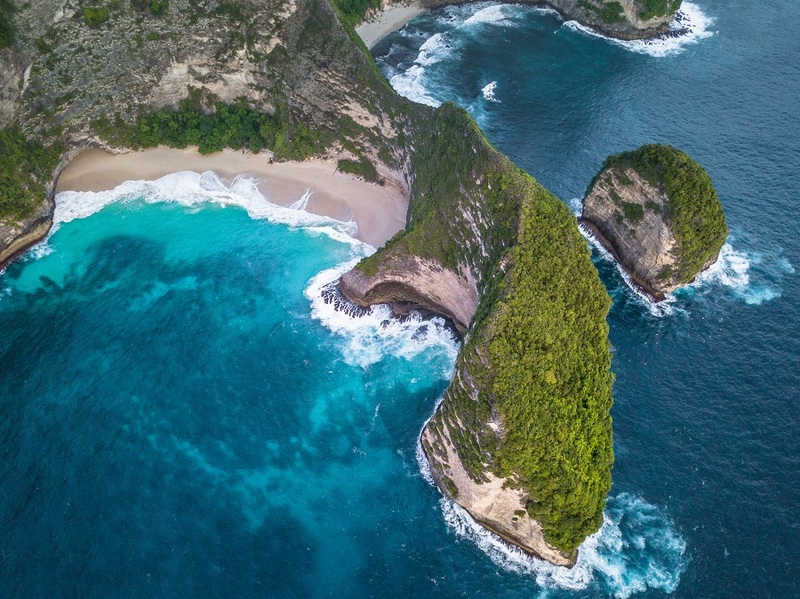 You can find pink sand beaches in Lombok, human-sized lizards in Komodo, amazing volcano hikes in Java, and stunning rock formations in Nusa Penida. Indonesia is the worlds largest archipelago with over 17,000 islands. Each offers a distinct experience at a super low price! The best time to visit Indonesia is during the dry season between May and September. Finding that perfect budget destination is easier said than done. It’s now time to schedule your holiday and start booking flights. Check out some of our preferred websites to help with planning your trip and finding good fares, such as Agoda, Skyscanner, or Kayak. With our recommended places to travel, you are half way there to your perfect budget holiday destination. Eat street food and ask ahead of time the price. We usually ask locals what the prices are before going, so we have some negotiating room if they suggest a price that is too high. Eating the food and then asking the price leaves you no negotiating room and you may be overcharged a tourist price. Take local transportation within countries that have good infrastructure. There are usually tourist buses and local buses. Tourist buses are more comfortable, but usually only add an hour or two to your transit time. Going on local buses typically have significant savings and is a fun experience. Find other travelers to split costs. We usually look for other tourists to split a cost of a taxi from the airport to the city center. Sometimes splitting a taxi between four people is cheaper than taking a bus. Instead of going on tours, it is cheaper to go to tourist destinations on your own. Splitting the costs can make travel very cheap. Accommodation is expensive in some countries. We always search between websites such as Agoda, Airbnb, as well as consider staying in hostels. If you enjoy camping, bringing a tent can save a lot of money and is a great way to stay in National Parks where there may be limited options. We have found situations where booking a room online is cheaper than just showing up, but usually, it is cheaper to get a direct price. If staying somewhere more than 2 nights, don’t be afraid to ask for a discount. Use our link to AirBnB for $40 credit for first time users. *Costs estimated from December 2017. Guatemala photo is from photographer Mariana Michelena. Check out her amazing gallery on Instagram. Peru photo is from photographer Sam Horine. Check out his ridiculous page on Instagram. Portugal photo is from photographer and blogger Diogo Guedes. Check out more of his awesome work on Instagram.